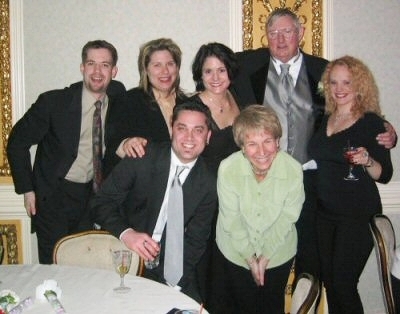 Me, Amy Davis, Christina Filliagi, JoAnn’s Dad, Jill Urchak, Scott Straus, & Dona Mullen at JoAnn’s wedding. A virtual WXXY reunion! So great to work with Dona again at K-Hits. Published December 7, 2015 at 400 × 314 in Retro 93-9 / Indianapolis, IN (2003-04).